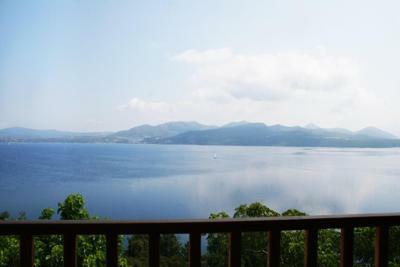 Lock in a great price for Sunrise – rated 8.9 by recent guests! 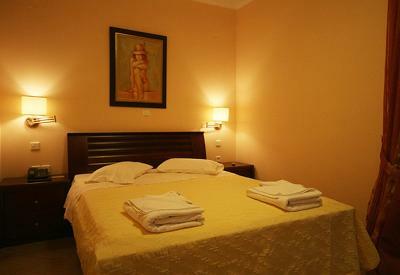 Every recommendation, luxury accommodation in regular price. Clean,nice, nice view, nice hosts, everything best to say. Hope to visit again. Good pool also. View was amazing. Pool was great. Quiet and peacefull - ideal for rest. Very friendly staff. The view from the room and from the terrace was amazing. Amazing sea-view from the balcony, nice swimming pool, good breakfast with variety of choices, the people who were working they were friendly and a very good mattress. 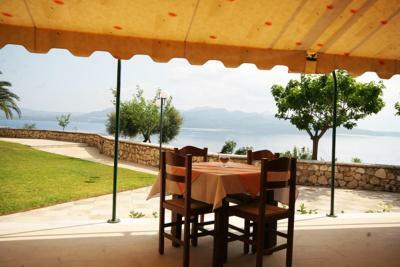 I stayed with family for 1 night since our goal was Kefalonia and this location was near to ferry and it was excellent choice. The room was OK, it was clean and we had view to the sea and the pool. The nice and friendly staff,the rich breakfast,the great view-it's a wonderful place to stay and enjoy your holiday.Well placed,in between all the important places and beaches. The pool was very clean. They changed the towels every day. They changed the sheets every 3-4 days. The sea is near, but you do not have accest to it, at least it liiks good from the window. We had a balcony, a place were you cand smoke or watch the sunrise. The people who eork there are nice and always there to help you. Sunrise This rating is a reflection of how the property compares to the industry standard when it comes to price, facilities and services available. It's based on a self-evaluation by the property. Use this rating to help choose your stay! 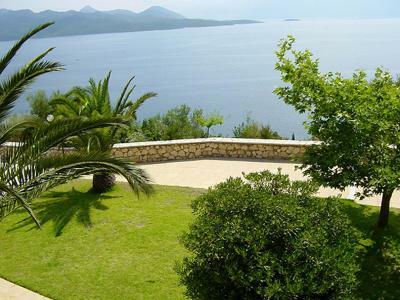 Set amid well-tended gardens, in Nikiana Village of Lefkada, Sunrise features a pool and a sun terrace with panoramic views over the Ionian Sea. It also includes a poolside snack bar and offers free Wi-Fi in all areas. The rooms and suites of Sunrise open to a balcony overlooking the Ionian Sea. Each is equipped with air conditioning, a fridge and a flat-screen TV. The private bathroom is stocked with a hairdryer. A buffet breakfast is served daily at the dining area, while guests can also enjoy drinks and light meals by the pool throughout the day. Restaurants, bars and clubs are within 2.5 mi. 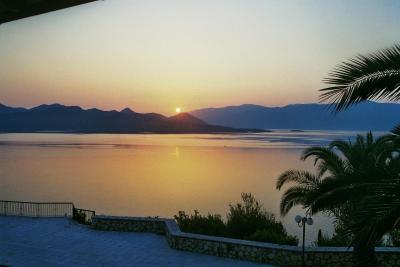 Lefkada Town is located 7.5 mi from Sunrise and 2.5 mi from the lively Nydri. The mountainous Karya Village is at a distance of 7.5 mi. Free public parking can be found on site. 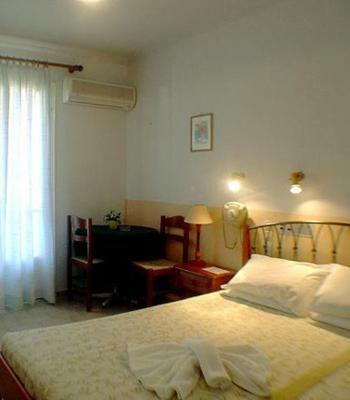 Overlooking the Ionian Sea from its balcony, this air-conditioned room offers free Wi-Fi access. A fridge, a flat-screen TV and a hairdryer are available. Overlooking the Ionian Sea from its balcony, this air-conditioned suite features a separate seating area and offers free Wi-Fi access. A fridge, 2 flat-screen TVs and a hairdryer are available. Some of the suites offer 2 balconies with panoramic sea view. Some suites have hydromassage shower and others spa bath. In the village of Nikiana, 12km from the town of Lefkada and only 4km from Nidri, you will find the complex of Sunrise Hotel, with 24 rooms, 4 Junior Suites all with private balconies, and 2 apartments. The hotel occupies 4.000 sq.m of prominent headland with panoramic views over picturesque bays and mountains covered in lush vegetation. Soak in the sunrays by our swimming pool and enjoy a cooling refreshment from our bar. Our courteous staff will take after your every need. You are guaranteed a warm and friendly welcome to a relaxing and memorable holiday. Kindly note that extra beds and baby cots should be requested and confirmed by the property. Kindly note that the property only accepts credit cards and not debit cards. The room is not so clean. Very good lovation with very good view. The bathroom could be better. They provide soaps and shampoos just it was a little bit old. The bathroom is quite small and outdated..quite difficult to move around.But because everything else was great it's not a big inconvenient. Small bathroom and not very clean. The bed was awful, gave me backpain, at least they could put a topper on it. The location is ok, but if you want to go to the best beaches is awfull. The beaches are on the west side, you have to drive there every day. Next time we visit Lefkada we will stay near the beaches because in a week of staying in Lefkada we drove 300+ km just because it is far from everything. WIFI in room often lost connection. Plastic cups in room were only available. Some of the decor was a little shabby, flaking paint etc. Needs some updating. Perfect location. Beautiful view. Very enjoyable breakfast. Super efficient/friendly staff. This is great hotel at quiet part of island with beautifull view. Rooms are clean, stuff helpfull and ready to give you any help or advice.